The Battery Sell Company: Battery Solutions for Canada and the U.S.
Modern marine, industrial, telecom and automotive customers with sophisticated powered equipment and controls demand a wider selection of battery products and capabilities than ever before. 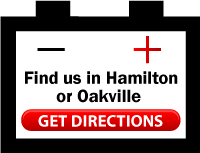 And that’s where The Battery Sell Company, a battery manufacturer and wholesale distributor in Southern Ontario, comes in. 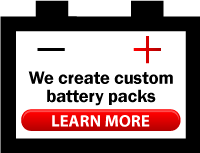 We meet your ongoing battery demands by stocking the widest inventory of products by a range of trusted manufacturers, including our own Powercell batteries. And, if we don’t have the products you need in-house, our prime location near industry means we can get them quickly. Today’s The Battery Sell Company represents the sum of two great companies, Sanford Battery Manufacturing Limited and the original The Battery Sell Co. A true expert in battery products and solutions, Sanford Battery Manufacturing has been serving Ontario since 1935 as a distributor and then as a manufacturer of industrial lift truck batteries. 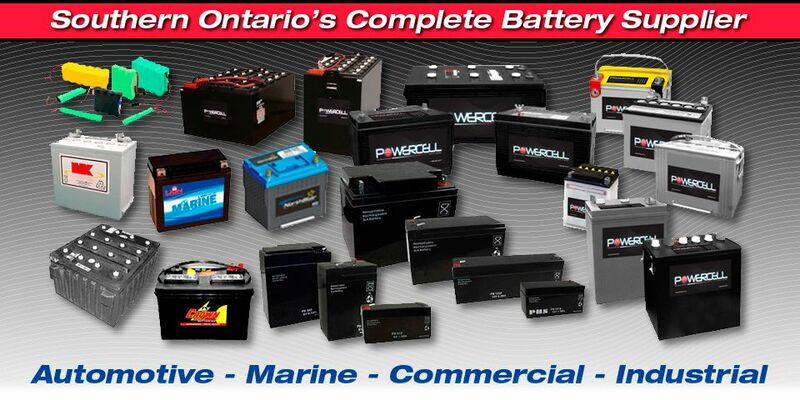 In combination with the original The Battery Sell Co., a company that provided marine, industrial and automotive battery solutions to Southern Ontario, we have extended our service region throughout North America and forged a reputation for matching high-quality, reliable products with each application we encounter, supporting it with experience and service. Whatever your requirements, no matter how straightforward or complex, The Battery Sell can meet your needs. Talk with our experienced team today.